If you are a true child of the Seventies, it shouldn’t take you long to figure out what movie inspired this playset,three guesses. 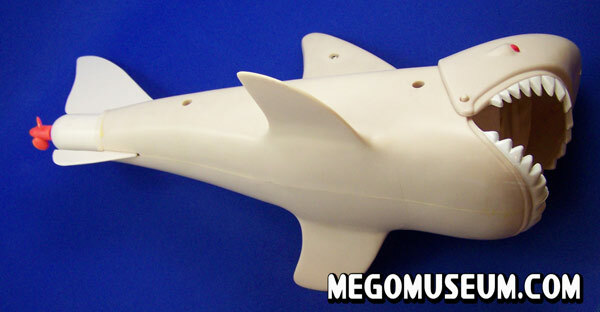 The shark itself has a jaw that would close if it bumped into something with it’s battery powered propeller. 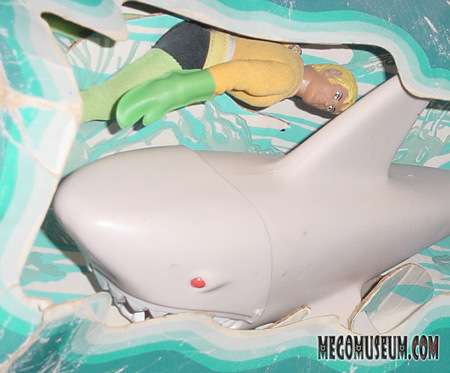 The Aquaman figure is a standard type two mego figure. The biggest question for this playset is why? 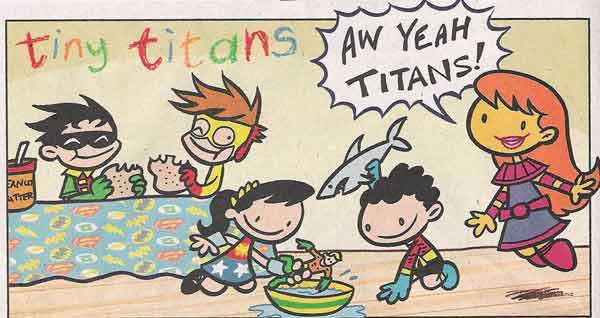 Aquaman would never be afraid of a shark, he commands them! 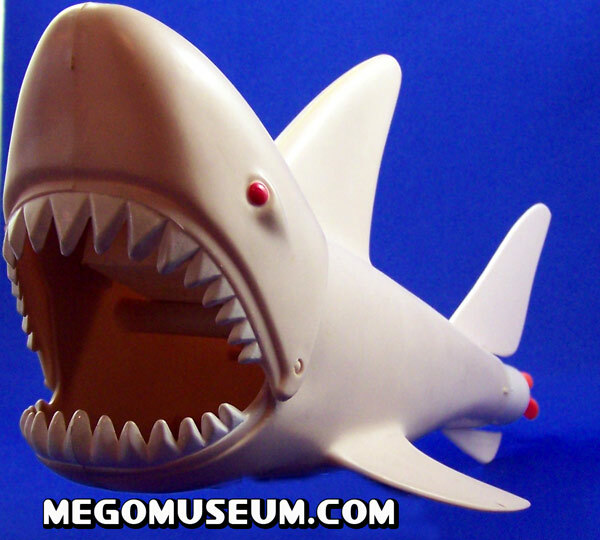 As well, a fully clothed mego is hardly an ideal tub toy although it wouldn’t matter to a seven year old. For something that was spotted on clearance aisles in abundance, the Aquaman playset is one of the hardest to find, a boxed edition can set you back thousands. 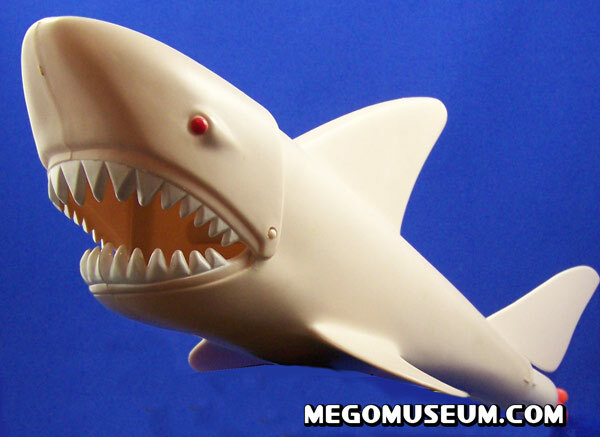 The shark however is rather generic and probably could be found cheaply, so keep checking those boxes below dealers tables! 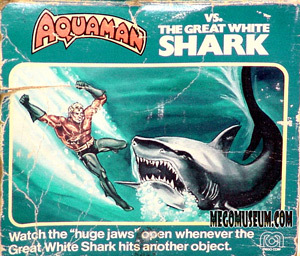 Aquaman and Shark were packaged in a dynamic position, very cool. I am absolutely in love with this artwork! 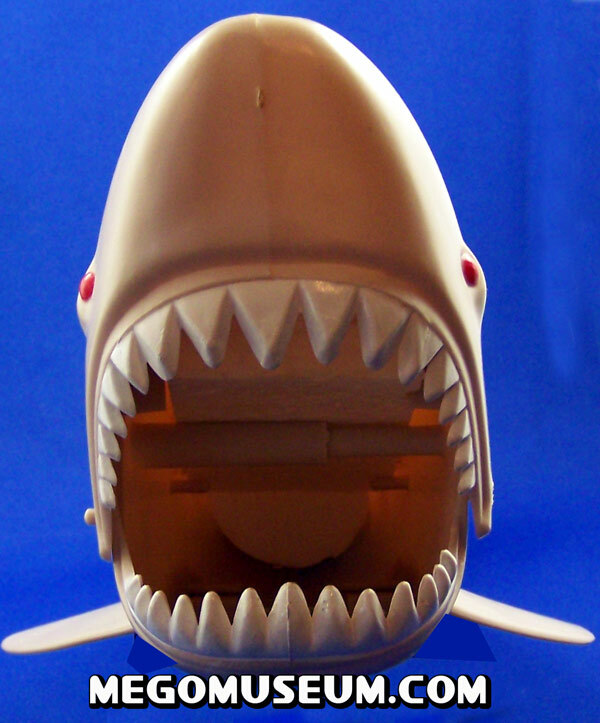 The Shark’s instructions take up the back of the box and are rarely seen. Leaping Lamprays! 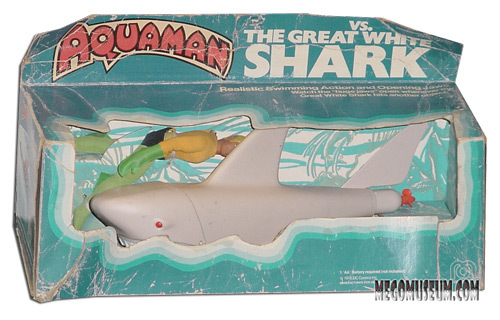 This web handed Aquaman figure was originally shown in the 1978 catalog yet no known examples have been found boxed. This sole figure unearthed by collector Roberto Ligotti is believed to be the only known one. 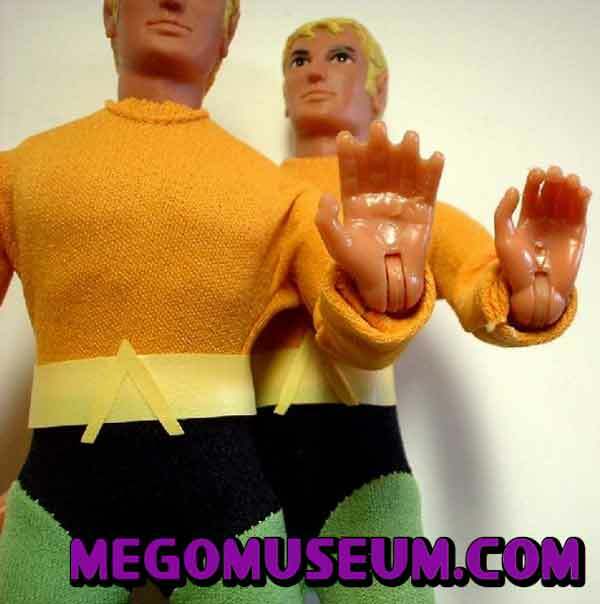 If you worked at Mego and know why Aquaman has webbed hands, please drop us a line. Even if you don’t know, we’d still LOVE to hear from you.